Good strong debut album a pop rock sound different to JLS's RnB and The Wanted's dance electro pop whilst appealing to a younger fan base then McFly. 127 weeks in the UK top 100. 7 weeks UK top 10. UK#2. 56 weeks Irish top 10. Ireland#1 (1 week). 4 weeks Hungarian top 10. Hungary#6. 26 weeks Canadian top 10. Canada#1 (2 weeks). 23 weeks US top 10. US#1 (1 week). 1 week Japanese top 10. Japan#6. 29 weeks top 10. World Chart#2. World Chart Year End (2012): #3. 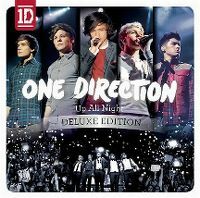 2.1 million copies sold in the US. After falling in love with What Makes You Beautiful and it becoming my favourite song of the year, I was pretty sure that the album would definitely not live up to that awesomeness. But by gosh it does!!! 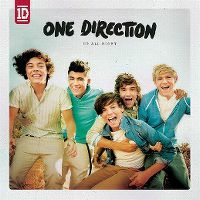 Sooo many awesome pop tracks on there, I just love One Direction. My new favourite group of the year!!! Oh mann die rocken, da würde man am liebsten die ganze Nacht aufbleiben und das Album in Endlosschleife abspielen. Up all night to rock 'til the morning light! The general public of people younger than me have a bad habit of really getting behind some really awful music. You'd hope that it'd just be insipid, but often it's really, really consistently awful. The phenomenon that is One Direction seemed to spring up overnight without me noticing, but what do they have to show for it? Incidentally, no major flaws that make me want to hate them! In fact they have a good tendency to provide catchy songs with good harmonies. it's not great, but pretty good for a debut album. I never thought I would ever listen to a One Direction album. The stigma surrounding the concepts of boybands and their voices was supposedly too 'uncool' to bother with, but the irresistible and catchy nature of What Makes You Beautiful and One Thing, coupled with their continued consistency and variety with Gotta Be You and More Than This, I just had to give it a try. Overall this is actually a very solid debut album! There are a great variety of catchy pop-rock songs, to strong ballads to even some electro-pop tracks at the end of the track listing. The production is almost flawless and supports their occasionally lacking vocals. There are no really awful moments either. 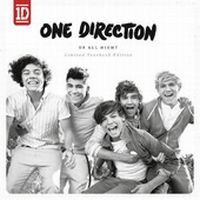 I find the weakest tracks to be Up All Night, I Wish and Same Mistakes, and only those are a little bit underwhelming. The highlight is clearly One Thing but What Makes You Beautiful, Gotta Be You, Tell Me A Lie, Save You Tonight and Stole My Heart are all really fun and enjoyable! The other unmentioned tracks are still quite good. Unfortunately the bonus tracks aren't worth listening to either, I would personally stick to the normal CD. It's a pity that their singles off their next album haven't impressed me as much, but their performance in the charts in the future will certainly be interesting. Bin halt nicht die Zielgruppe. Die Songs selber sind teilweise nicht so schlecht. Despite the rumours on the Internet that states that One Direction is just five clones of Justin Bieber, I had a good time with listening to this album. 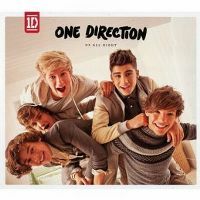 Now since there are several versions of the album, I'll be reviewing the Limited Yearbook Edition CD. I don't actually have the album (but my sister does have the Yearbook Edition of their second one) but I have listened to the tracks that are stated to be in that edition. As I was listening to this album, I wrote down some notes about anything and I found that a majority of the songs have a theme where the 1D boys are singing the song directly to you and they want you. Well, every song except "Taken". 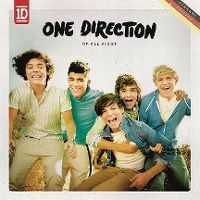 Then again, it is an album that's directed towards teenage girls. What I was surprised about was how catchy some of these songs are. I particularly liked "I Want" & "Save You Tonight". I'm also surprised by how annoying it actually isn't. All of the songs are listenable and none of them make me wanna rip my ears out. It was a pretty solid pop album.